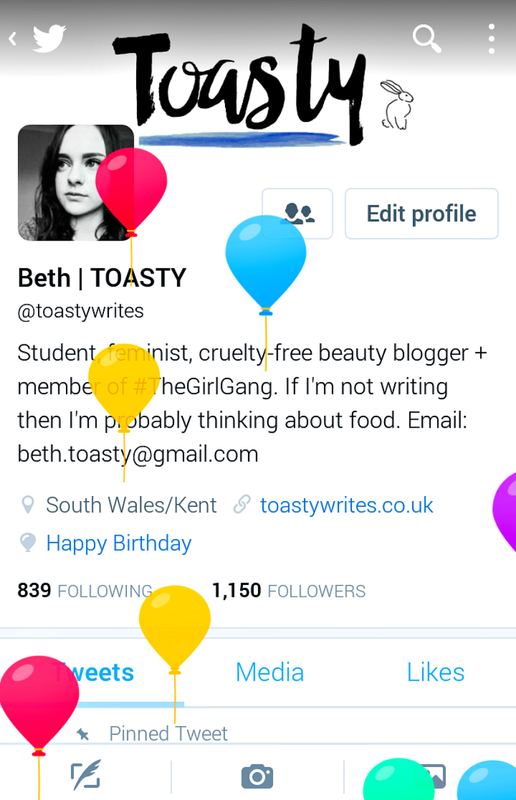 I’ll be honest, I’d been looking forward to the birthday balloons for months. Yes, I went there with the classic Taylor Swift lyrics. No, I’m not sorry. So, in case you hadn’t guessed by reading what has become the standard title for these kind of posts, I’m now 22 years old. My birthday was on Saturday. 22 is a nice, even number. For me, 22 is also a scary number and a milestone age because I will graduate at the age of 22. If things go to plan then I will get my first proper job at 22. I’m probably going to be moving somewhere different as well. In short, my 22nd year is going to be a year of change, and that’s both exciting and terrifying at the same time. I tried to kick all of those thoughts out of my head on the actual day and concentrate on being grateful. I have my family, my friends, my health, and my education, plus my birthday was as lovely as it could have been. I woke up quite early, and for the first time in three years I was actually at home. I had breakfast with my parents, which is a treat any time of year these days, and then opened some presents (make-up and books — my family know me well!) I spent the morning with my family, and then in the afternoon my closest friends came over and we ate a tonne of food and watched England win the Grand Slam in the Six Nations, which was wonderful. So yeah, it was a good day and I’m very lucky. But now it’s over I can’t stop thinking about what’s next. I hate uncertainty, I hate it, and I usually deal with stress by planning out my next steps. Knowing where I’m going helps me to calm down and worry less. I don’t really have a clear route to follow after university is over, though, and I panic every time someone asks me what I’ll be doing, which is something people do a lot when you’re about to make the transition from student to graduate. I’ve been told that life is basically one long process of trying to figure things out, and sometimes things work and sometimes they don’t, and you keep trying and you keep learning. This was actually quite helpful — maybe I don’t have to have everything as sorted as I think I do? That turned into a bit of a ramble, sorry! I wasn’t really sure where this post was going when I wrote it, I just wanted to write something, and this post was it. How do you deal with milestones? How do you like to celebrate your birthday? Let me know in the comments!